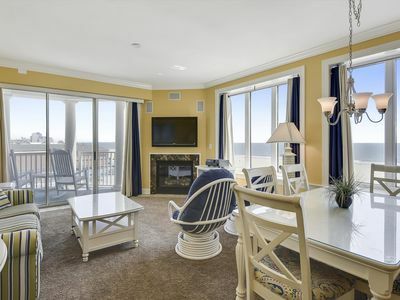 Oceanfront Perfection - Immense Luxury Condo w/ Pool & Fitness! 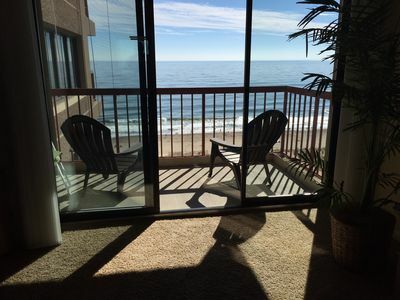 Enjoy the soothing rhythm of the ocean & simple pleasures of the beach from your private Oceanfront balcony! 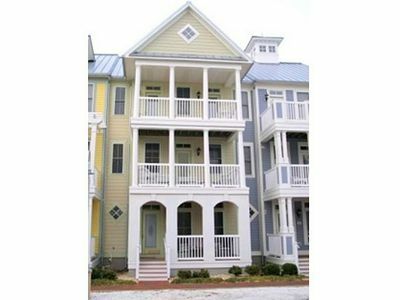 This exquisite 4-BR, 3.5-BA, end-unit condo is located up above the sand dunes, offering you a front-row seat at Sunrise & stunning views that stretch North & South along the coast. 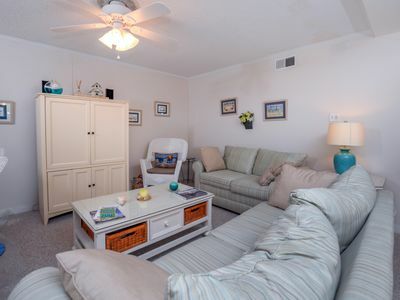 Beautifully decorated with lovely hand-painted murals, high-end furnishings & tile flooring, this home has everything you need for an unforgettable vacation. 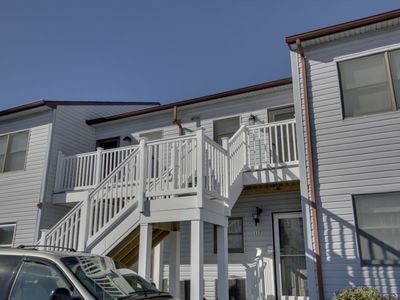 Gourmet Kitchen comes fully-equipped with top-of-the line stainless appliances, long breakfast bar & granite countertops. 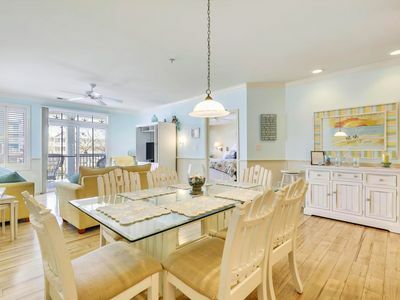 Dining Area has plenty of seating, including a cozy window seat w/ amazing views of the Ocean, Bay & O.C. skyline. 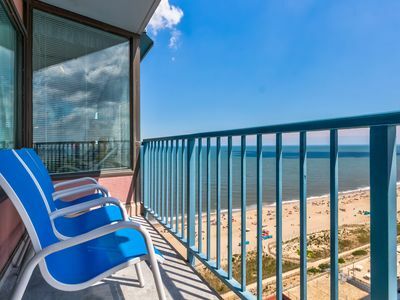 You'll enjoy Flat Screen TVs/DVDs in every BR & LR (w/ add`l HD channels), FREE Wi-Fi, full-size Washer/Dryer, and even a beach cart provided for your use. Life at The Meridian is all about one thing: RELAXATION. 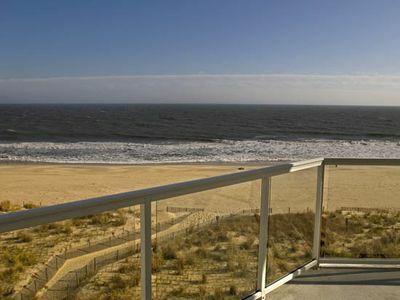 Spend a day of tranquility on the Beach or take a refreshing dip in the large, Outdoor Heated Pool. 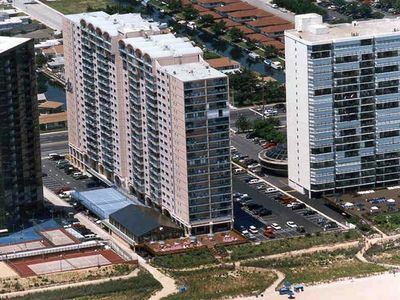 Guests have access to exclusive amenities, including 2,000-SqFt Fitness Center& outside shower for rinsing off after fun in the sand. 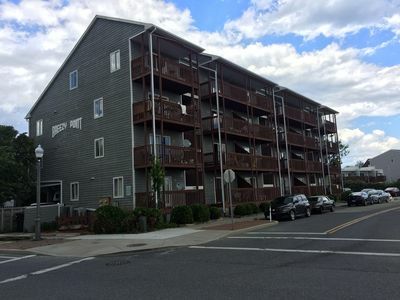 The Meridian is conveniently located near the Route 90 Bridge at 60th Street in one of the quietest & least-crowded sections of Ocean City. 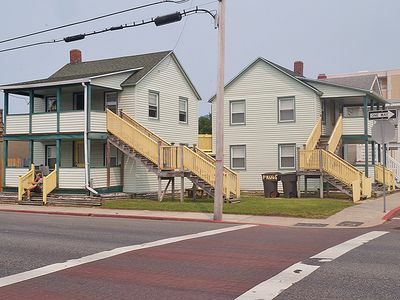 It is within walking distance of numerous fine restaurants & activities, including Fager`s Island, Dead Freddie's, Maui Golf & more! PLEASE NOTE: Owner requires that only family rentals be permitted in this home. Group rentals are not allowed. Therefore, online bookings for group rentals will not be honored. 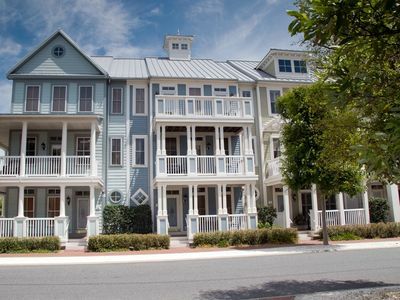 This charming 2 bed 2 bath condo sleeps 6 comfortably. 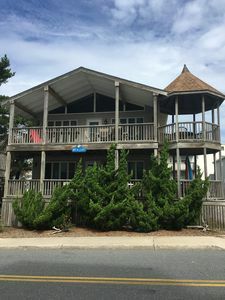 Features the ultimate private setting with wooded views that you can enjoy from your spacious deck..
"Bikini Bottom" Island-Feel Condo w/ Resort Amenities - Short Stays Welcome!